Apeldoorn, Netherlands: Swimming with wild dolphins is something most can only dream of, and jumping into pools with captive animals has become increasingly controversial with environmentalists condemning it as cruel. The Dolphin Swim Club is the realisation of a more than two-decade journey by artist Marijke Sjollema, who had her first chance encounter with a dolphin in 1993 while snorkelling off the coast of Mexico. “I saw this grey shadow under the water and my first thought was this is the end. I thought it was a shark,” she told AFP. From that moment on, Sjollema’s love of dolphins and all cetaceans was born. “We know that there is something magical about dolphins. We think of joy, and playfulness and happiness and innocence when we meet dolphins. And this is even a healing quality,” she told AFP. 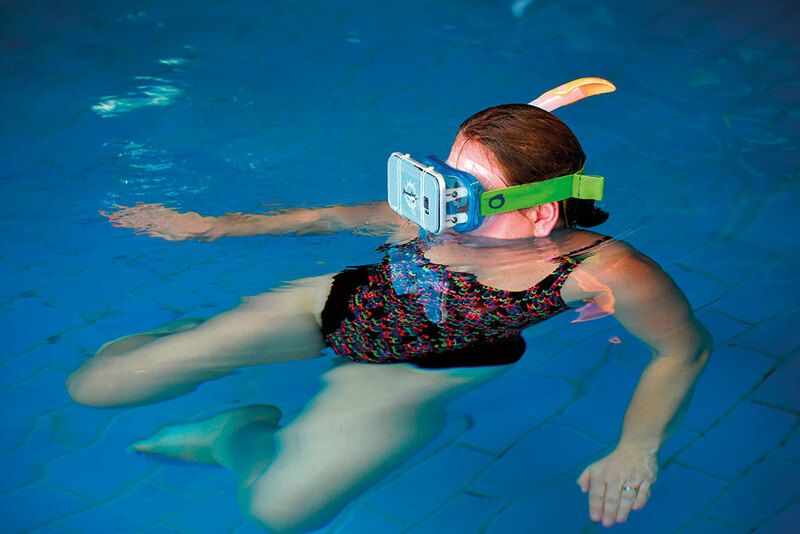 “The dream was to find an alternative to dolphin-assisted therapies using dolphins in captivity,” Brada told therapists at a residential community for disabled people run by the ‘s Heeren Loo organisation who were testing out the waterproof goggles in the pool. “Some 82 per cent of our clients feel actually relaxed by seeing the films,” said the organisation’s policy adviser Johan Elbers. “The dolphin noises and the water calms me down, that calms me from all the noises that there are, then you’re zen,” he said. “Stress is very important as a driver of all kinds of psychiatric problems,” explains psychiatrist Wim Veling, from the University of Groningen. “So we are trying in therapy to make people more relaxed,” said Veling, who has been studying the use of VR to help people with mental health disorders. 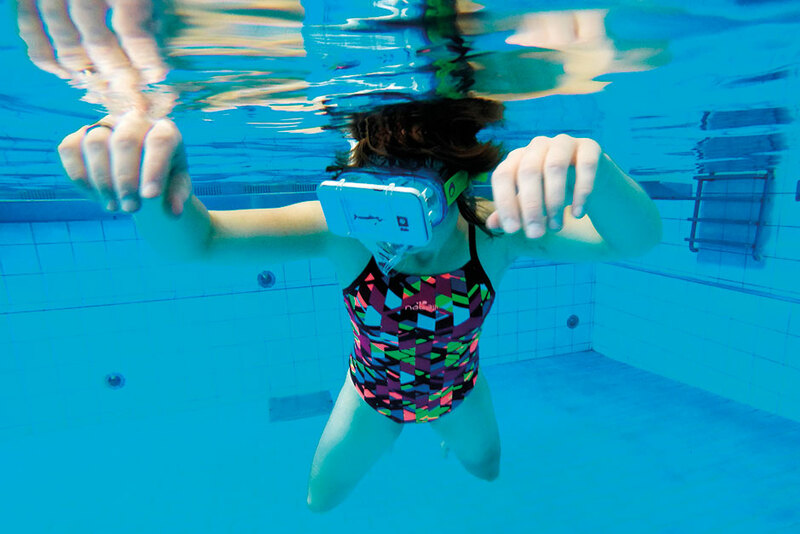 “The power of virtual reality is in the immersion” into another world, he says on the Dolphin Swim Club site. “Right from the beginning we wanted to make this an alternative for existing therapies with dolphins in captivity,” she said. He would like to watch “a film with sharks” or lions “where the animal is hunting a prey. It would be fun to see a little bit of action.